Donald Trump and Barack Obama took very different approaches to dealing with terrorism. Evil to Ignore: This is from governments and aspiring countries like the Palestinian Authority that routinely incites violence against an American ally, Israel. Obama used direct military action against the first category, when he felt that American lives were at stake, while only lending support against the second. When it came to countries that harbored evil ideologies, Obama opted to remain inactive and relatively silent. In short, the “evil ideology” itself was not the barometer of whether Obama took action; it was the nature of the threat to American lives, and whether he could act narrowly against relatively small groups of people rather than entire countries. In his first week in office, Donald Trump is seemingly approaching his obligation to protect Americans in a manner quite different than Obama. Name: For one, Trump clearly labeled the “evil ideology” as “radical Islamic terrorism.” While Obama felt that attributing the extremist actions specifically to Islam was unfair, Trump thought that avoiding the connection between the terrorists’ motives and Islamic teachings masked the problem. Breadth: While Obama sought to target a narrow audience for military attacks, and giving a pass to others with “evil ideologies,” Trump seems more willing to go broader and use more tools to address the issues. He has advocated for using torture to get information from terrorists (he said he would be willing to reconsider it if his defense advisors warn against it). 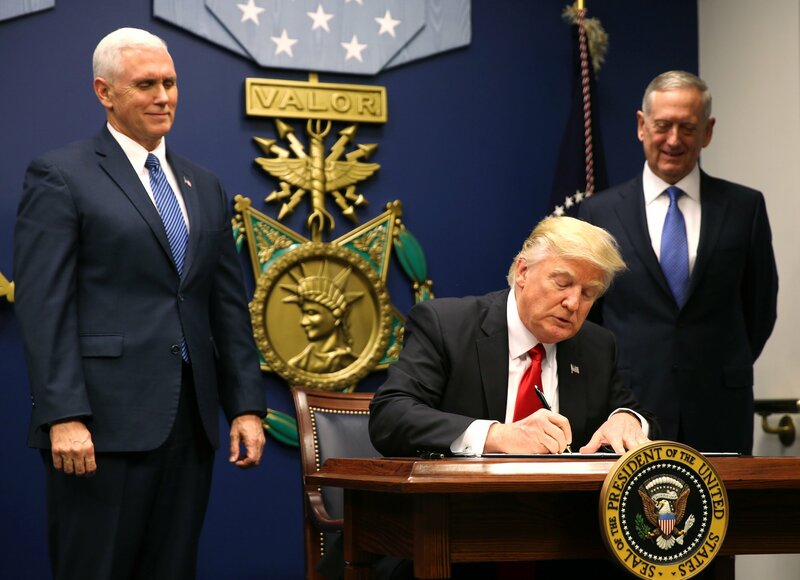 Trump has instituted restrictions on immigrations from several countries that have been unable to deal with terrorists, to minimize the probability of terrorists coming to the United States. Trump has only been in office for ten days, so it is difficult to ascertain how he will use the military in fighting groups like ISIS and al-Qaeda that Obama targeted, and others where Obama acted indirectly like Boko Haram and al-Shabaab. He has already authorized an attack in Yemen in an operation that reportedly killed 14 militants. Will he use troops rather than relying mainly on drones as Obama did in countries like Yemen and Somalia? Beyond combatting terrorism, how will Trump interact with countries that promote radical Islamic terrorism like Iran and Saudi Arabia? Obama traded with them and gave them billions of dollars. Will Trump treat them as potential business partners too and ignore their support of terrorism? The United Nations called on the world to not label violent extremism as “Islamic” as they argued that doing so would be unfair to the religion. The UN preferred to only use the term “extremists” in regards to Jews, as part of its ongoing attack on Israel. Obama lied to the world that the birthplace of extremism was in poverty, rather than a twisted view of the world. His #AlternativeFacts were parroted by the members of his administration, even though every study on the subject showed the statement to be bogus. So now that Trump has opted to call out the root of terrorism as not being from lack of economic opportunity, but having distinct Islamic origins, will the US push to take actions against Islamic countries rather than a limited number of terrorist groups? Is Trump calling out a clash of civilizations? If so, how will such a clash play out? On September 18, 2016, a Somali-American Muslim man went on a rampage and stabbed nine people in Minnesota, before being shot by an off-duty police officer. ISIS claimed responsibility for the attack, and both presidential candidates, Donald Trump and Hillary Clinton, weighed in on the attack. 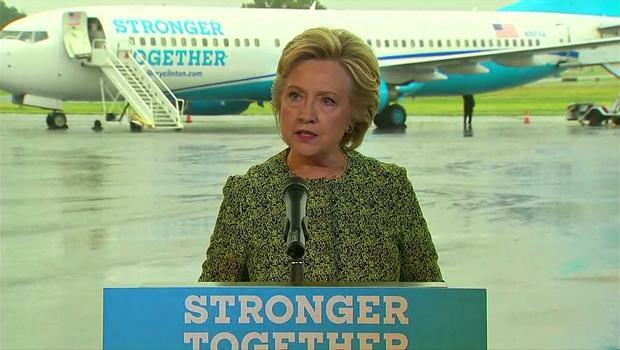 Clinton’s remarks deliberately misled Americans that she had a tough plan using law enforcement to deal with terrorism. A casual reader would imagine that Hillary is planning on relying on a range of security personnel in an “intelligence surge” to protect Americans from local radical jihadists. On December 15, 2015, Hillary Clinton was in Minnesota where she discussed her detailed plan to thwart ISIS in America. Her three-part plan included an effort to prevent attacks before they could be carried out, which was based on Muslim Americans reporting on fellow Muslims who were becoming radicalized. “Here in the Twin Cities, you have an innovative partnership that brings together parents, teachers, imams, and others in the Somali-American community with law enforcement, non-profits, local businesses, mental health professionals and others to intervene with young people who are at risk. It’s called the Building Community Resilience Pilot Program, and it deserves increased support. It has not gotten the financial resources that it needs to do everything the people involved in it know they can do. And we’ve got to do a better job of supporting it. Now I know that like many places across the country, there’s more work to do to increase trust between communities and law enforcement. Just last month, I know here a young African American man was fatally shot by a police officer. And I understand an investigation is underway. Whatever the outcome, tragedies like this raise hard questions about racial justice in America and put at risk efforts to build the community relationships that help keep us safe from crime and from terrorism. Hillary Clinton’s plan relies on Muslim Americans reporting on fellow Muslim Americans to the police. Therein lies the fundamental difference of the presidential candidates in fighting Islamic terror in the US. Both want to stop terror, but Trump will rely completely on law enforcement, whereas Clinton will seek to empower the Muslim community in the hopes that fewer people will become radicalized and more Muslims will be inclined to report on fellow Muslims. Many Americans will only be comfortable with one of these approaches. In September 2016, as the presidential race tightened and a series of attacks occurred in Minnesota, New York and New Jersey, Hillary Clinton concluded that she needed to appear more bold on fighting terror, and less reliant on the Muslim community’s cooperation. The United Nations is gathering this week for a summit in New York to discuss ways of helping refugees and migrants. The various roundtables will review the difficult situation facing millions of people due to a number of wars, principally in the MENA region (Middle East and North Africa) as well as in Afghanistan. The UN will then ask for countries of the world – principally the United States and Canada – to contribute money and homes to settle these refugees. The United Nations currently spends billions of dollars that are earmarked for refugees, to people that are NOT refugees. 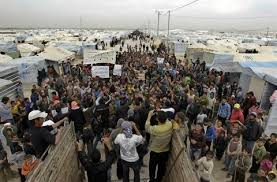 As described in “Help Refugees: Shut the UNRWA and Fund the UNHCR,” the United Nations created the UN High Commissioner for Refugees (UNHCR) and tasked it with helping millions of people from around the globe who are fleeing conflict. The UNHCR helps these refugees find safety in new countries and establishes some infrastructure (temporary homes, hospitals and schools), far from their homes, where they have little support. 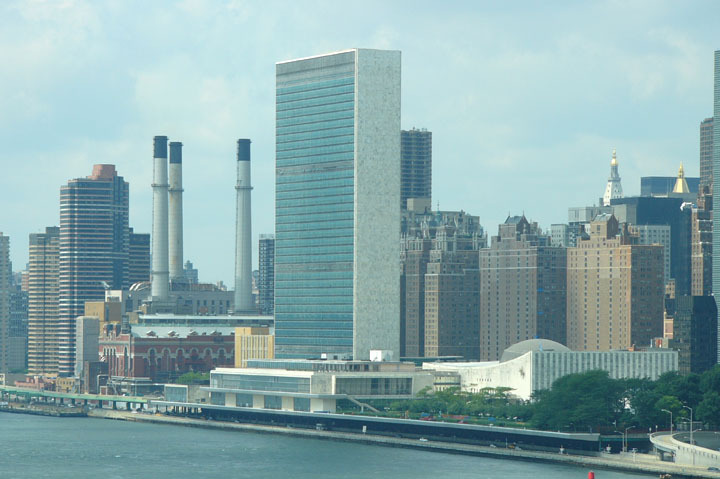 However, the UN also created a distinct agency, the United Nations Relief and Works Agency for Palestine Refugees (UNRWA) just for a single group of people – Palestinian Arabs. These Arabs are NOT refugees, but descendants of people who fled their homes and settled a few miles away in the exact same region. Refugee status does not pass down through the generations, and has absolutely nothing to do with people leaving a certain house to a location nearby. Despite this, the UN has a larger staff and spends significantly more money on these non-refugees. As the world is facing a true refugee problem, with actual refugees fleeing harm to find protection in lands where they know no one and have no infrastructure at all, it is well past time to shut down the farce of UNRWA which exists solely to perpetuate the Arab-Israeli Conflict, and devote those resources to actual refugees. The European Union is pushing the US and Canada to accept more refugees, particularly those fleeing the civil war in Syria. The EU argues that it has already accepted the lion’s share of the refugees, and many Europeans have become uneasy with the large influx of foreigners. But where is the push for Muslim countries to accept more of these Muslim refugees? Aside from Turkey and Jordan, most Muslim countries have not taken any refugees. 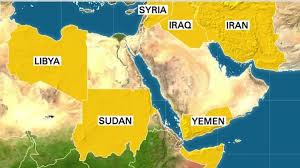 These refugees fleeing Arab countries like Sudan, Yemen and Libya, and Muslim countries like Pakistan and Afghanistan, could more easily adapt to countries where they share language, culture and religion. The very wealthy Gulf states could easily take in these refugees. But the 57 Islamic states will vote at the UN to make the non-Islamic countries take in the refugees, to an unfamiliar environment. Why are so many Muslim countries only making refugees and not helping them? Why does the world enable the situation? The biggest causes of the refugee crisis is the civil war in Syria and the growth of ISIS in Iraq. Trailing these are the wars in Afghanistan and Libya, the civil war in Yemen, and the failed state of South Sudan. These are problems that erupted and spread under the hands-off approach of the Obama administration in the Middle East, and its active involvement in Afghanistan. The ramifications have spread to the entire world. Obama did little to nothing when Syria’s President Assad dropped barrel bombs and chemical weapons on his own people. Obama vacated Iraq to allow a vacuum to be filled by ISIS. After Secretary of State Hillary Clinton toppled the regime in Libya, the US left the country in shambles. Those decisions allowed terrorists to penetrate Europe. It is time to reverse that inaction. A no-fly zone must be established in Syria to give a safe haven to refugees within their own borders. A real ceasefire must be established to allow the millions of refugees to return to their country. ISIS must be defeated and the US must remain in Iraq to help the country stabilize. Active involvement in Libya must happen immediately, before Libya becomes another Iraq. The only country that has become more powerful under Obama is the state sponsor of terrorism, Iran. The implementation of Obama’s poor decisions must stop, and refugees should be encouraged to return to their countries as soon as practical. 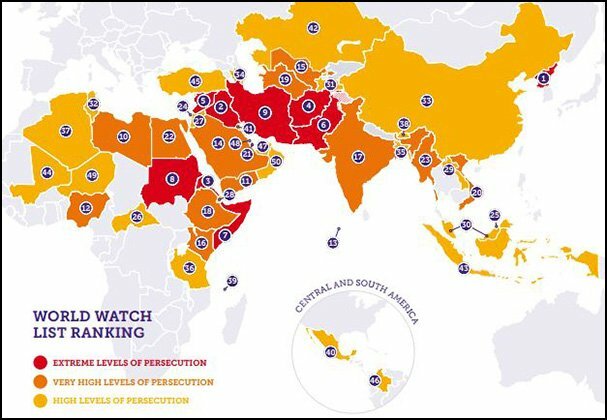 Over September 19 and 20, the world will witness the dictatorships and human rights abusing-countries dictate to the western world that the West must take responsibility for the failed Islamic states. The perpetrators will claim victim status, and insist that Europe and North America must both pay for the MENA refugees and shelter them, while the Muslim world itself does nothing. Well, in fairness, the Muslim world won’t do nothing; it will dictate its demands. One of the speakers at the summit will be the Palestinian Authority Prime Minister Rami Hamdallah. Hamdallah is well known to viewers of Palwatch and MEMRI for calling on the Islamic world to attack Israel for chasing the Muslim agitators who curse and throw stones at non-Muslims visitors to the Jewish Temple Mount. He often asserts that Israel is “Judaizing” their holy city of Jerusalem. Most significantly, he actively promotes the families of terrorists killed while attacking Jews, ensuring that they receive monies from global agencies. Yes, that’s illegal, but Hamdallah gets diplomatic immunity while visiting NY. What a great choice for a speaker! Another speaker is Pierre Krähenbühl, the Commissioner General of UNRWA, the agency that has waged a multi-decade war against the only democracy in the Middle East. Krähenbühl ignores the role that UNRWA played in storing weapons for Hamas, the terrorist group that runs Gaza. He focuses on asking the world for yet more money for the non-refugees that live in a land that they already control in Gaza! While listening to the sad state of refugees, sympathize with their plight, but don’t be fooled by the UN’s recommended courses of action. Stop the UN farce of perpetuating conflicts and wasting the world’s money, while never demanding accountability from the Islamic countries and entities. The logic for the assassination seemed logical, and consistent with past statements by Obama to target individuals who posed a threat to the security of Americans. 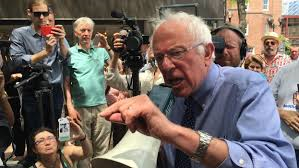 Bernie Sanders claimed to condemn “the terrorist actions of Hamas, including their practice of firing rockets into houses and urban centers.” Then why does Sanders feel that Israel should be precluded from using a tool to protect civilian lives that the US uses? It is fair to assume that Sanders’ foreign policy will resemble the United Nations’ hypocrisy regarding Israel. Are the two positions as far apart as they seem? Trump has been accused of being an “Islamaphobe” for his position about Muslims and Islam. His call to place a temporary ban on all Muslims applying to enter the United States was roundly criticized by all of the other presidential candidates. 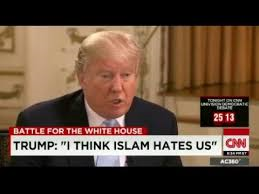 Trump argued that America needed more information and better background checks on people that might pose a threat to the country because “Islam hates us.“. Ami Horowitz, a freelance reporter who often produces stories for Fox News, conducted several interviews in May 2015 with Somali Muslim Americans in Minnesota. 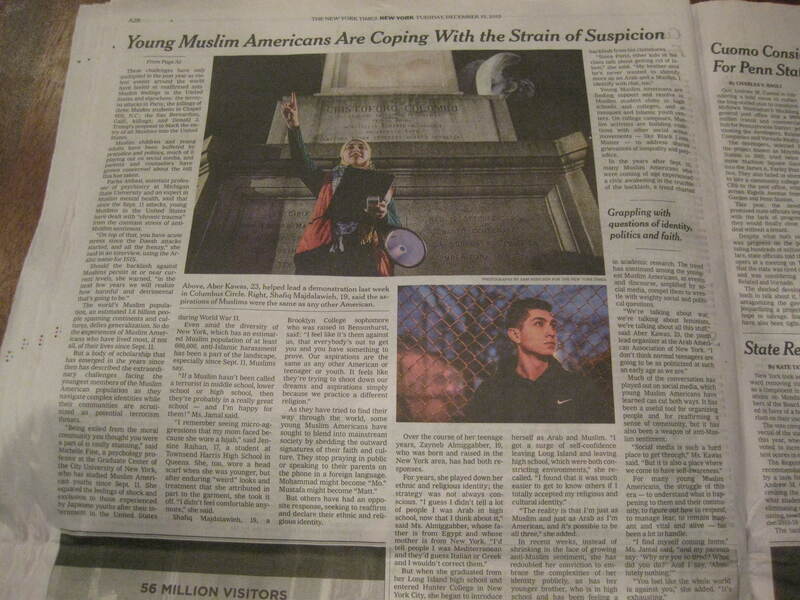 In his interviews, seen here, Muslim Americans said they were happy and felt welcomed in America. Yet despite those feelings, the Muslims would prefer to live in Somalia, not America. They further believed, that elements of sharia law, such as using the death penalty for anyone that insulted their prophet, should be practiced in the US. 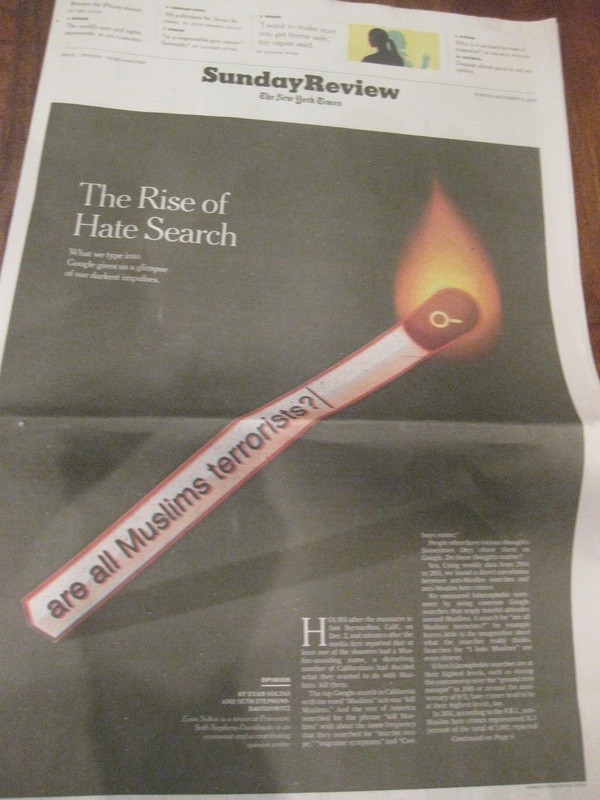 Republicans like Kline and Trump directly pointed to “homegrown terrorism” stemming from the Muslim community. They called for greater scrutiny of those communities to better protect Americans. The Democrats semmingly suggested a different tactic. Just months later, in December 2015, Hillary Clinton addressed a crowd in Minnesota about how to defeat ISIS. One of her points addressed Muslims in America, where her “strategy is empowering Muslim-American communities who are on the front-lines of the fight against radicalization. There are millions of peace-loving Muslims living, working, raising families, and paying taxes in our country. These Americans may be our first, last, and best defense against home grown radicalization and terrorism. They are the most likely to recognize the insidious effects of radicalization before it’s too late, intervene to help set a young person straight. They are the best positioned to block anything going forward. That’s why law enforcement has worked so hard since 9/11 to build up trust and strong relationships within Muslim-American communities. Here in the Twin Cities, you have an innovative partnership that brings together parents, teachers, imams, and others in the Somali-American community with law enforcement, non-profits, local businesses, mental health professionals and others to intervene with young people who are at risk. Democrats like Clinton and Franken suggested the solution to dealing with homegrown jihadists is to “empower” that same community that Republicans sought to scutinize. Their approaches were seemingly polar opposites. Both the Republicans and Democrats advocate intelligence gathering. Clinton wants to use people from within the Muslim community to do the work, while Trump lacks confidence in relying on the community for America’s safety. Where Trump and Clinton divide is in their basic thoughts about Islam. Trump seemingly believes that Islam is inherently intolerant of western values, so the peaceful Muslims are doing so in spite of their religion. Clinton believes that there is nothing inherently anti-American about Islam, and there are just a small percentage of violent jihadists in the community. In the end, both Trump and Clinton want to root out homegrown Islamic radicals. Trump just wants to use law enforcement to handle the task and believes that Clinton’s approach allows the fox to guard the henhouse. Summary: One year after acknowledging that Palestinians were to blame for the failed Israeli-Palestinian Authority peace process, left-wing NY Times contributor Roger Cohen cast Israelis as fanatical nationalists and Palestinians as passive, despondent victims. 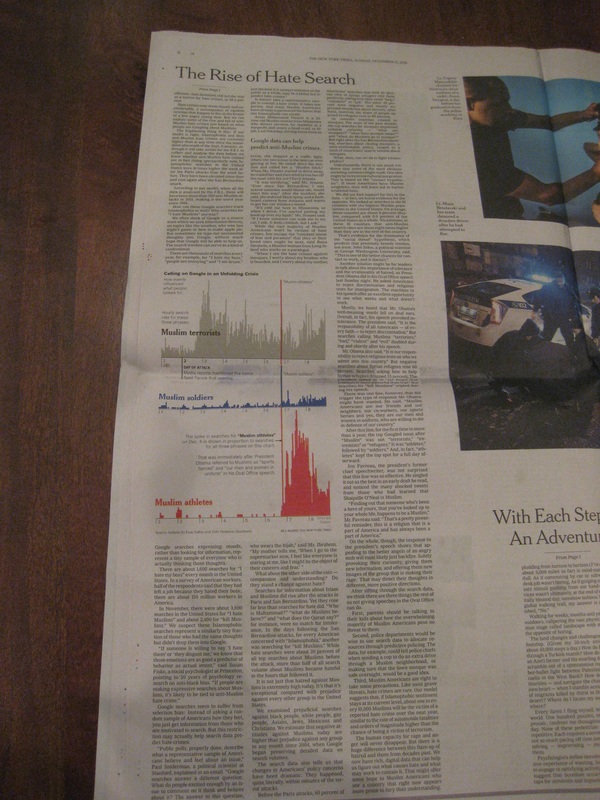 The Times’ cure for Jews’ violent adherence to their religious texts is punishing settlers with BDS, while the paper distanced Muslims from their religion and called for greater compassion towards these innocents. Just in time for Christmas, Roger Cohen decided to write about the Israeli-Palestinian Arab conflict. Again. In an article called “The Assassination in Israel that Worked,” Cohen portrayed an Israeli society overrun with religious fanatical murderers. He described the killer of Israeli Prime Minister Yitzhak Rabin, Yigal Amir, as “a religious-nationalist follower of Baruch Goldstein, the American-born killer of 29 Palestinian worshipers in Hebron in 1994.” He wrote about Jews living east of the Green Line (EGL) as obsessed with “Messianic Zionism,” at odds with the concept of democracy. Because Palestinians are desperate for their own state, Jews living in EGL make “violence inevitable” according to Cohen. He argued that the UN’s creation of Israel “was territorial compromise, as envisaged in Resolution 181 of 1947, calling for two states, one Jewish and one Arab, in the Holy Land. This was humankind’s decision, not God’s.” In short, according to Cohen, the vast Messianic cult of violence in Israel seeks all of the Holy Land, but the rights of Jews are limited to just half of the land as dictated by man’s laws. A smaller percentage of Jewish “settlers” are murderers, than are terrorists which are Muslim. The Cohen opinion piece would lead a person to believe that every Jewish “settler” takes up arms against Arabs, while the reality is that almost every Jew living in the land seeks to live in peace with their Arab neighbors. Baruch Goldstein was an anomaly, not the rule. Why would the Times print such an inflammatory piece against Jews when it is in the midst of a blitz about the dangers of “Islamophobia”? 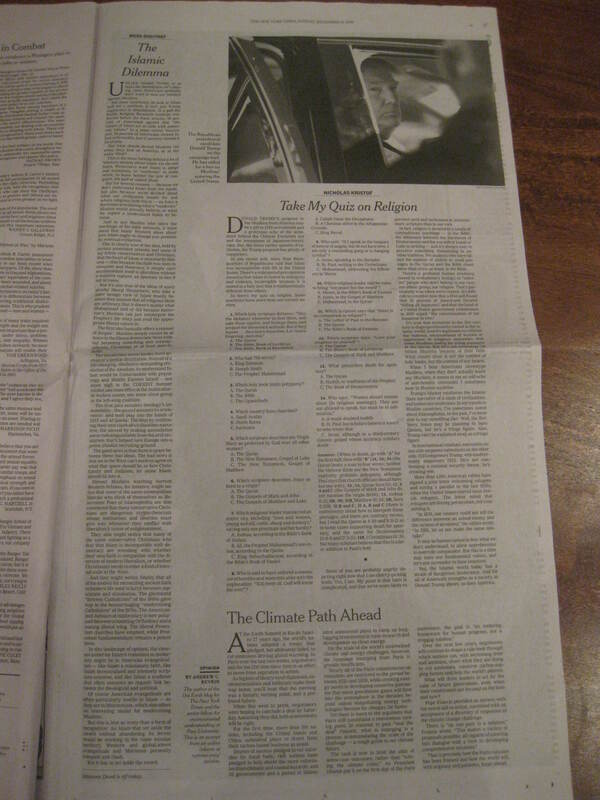 The Times wrote over-and-again that most Muslims are peaceful and that Muslim terrorist abuse the interpretation of Islamic holy texts. Yet the Times was eager to describe Jewish killers as motivated by the plain reading of the Jewish holy texts, and suggested that any Jew living in Judea and Samaria is either a potential killer, or instigates Palestinian violence. It is untrue, unfair and reeks of hypocrisy to portray Jews in such a manner. There are almost no Jews in Judea and Samaria that committed murders, but the Times labelled all “settlers” as devout killers. 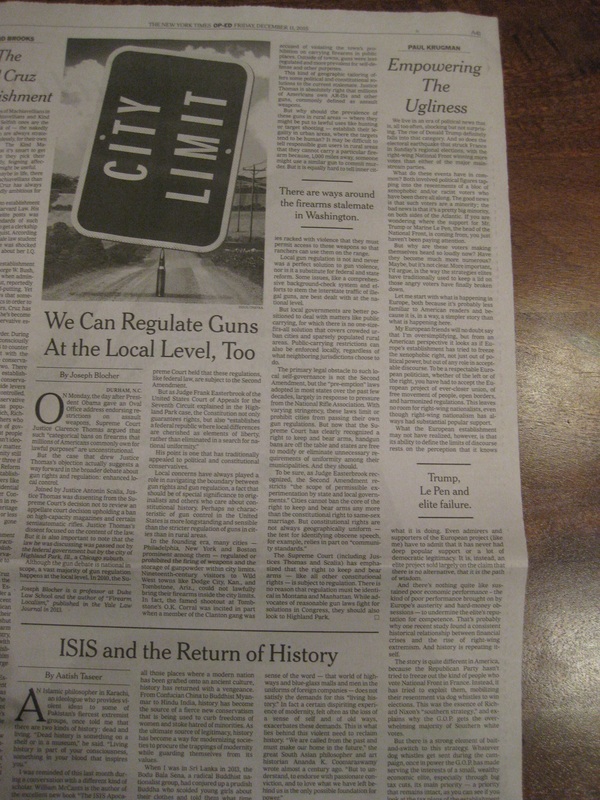 Meanwhile, the global jihadist movement enlisted thousands and slaughtered thousands, and the Times rallied to the defense of Muslims. Jews are entitled to live in EGL/ Judea and Samaria according to international law. 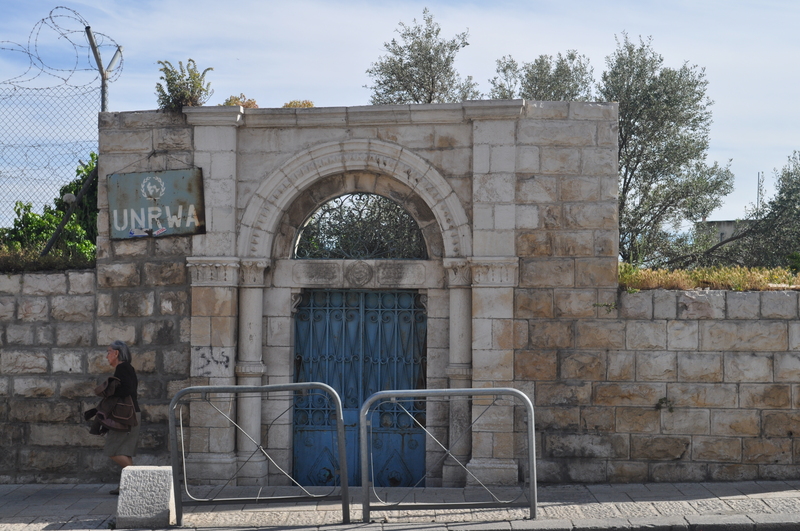 The 1922 Mandate of Palestine by the League of Nations clearly and specifically encouraged Jews to live throughout the Holy Land, including areas now known as the “West Bank.” The Mandate included language that specified that no one should be prevented from living anywhere because of their religion. 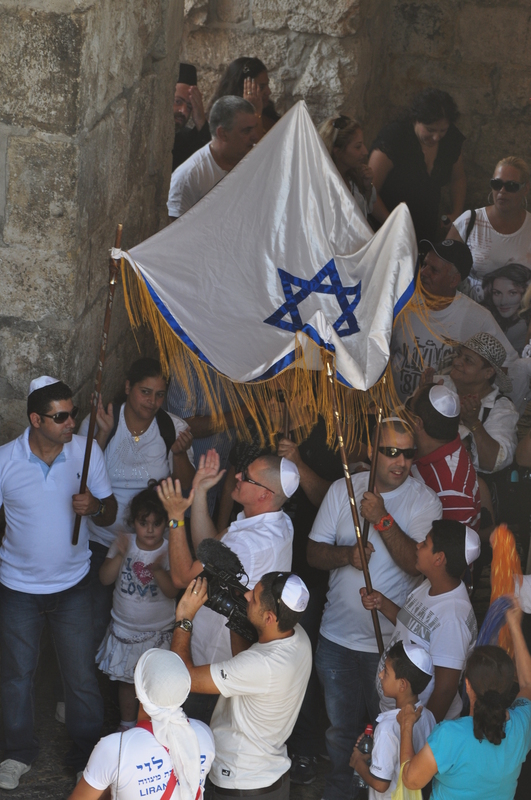 “Messianic Zionism” may be a driving force motivating some Jewish families to move to the region, just as they might move to Haifa or Be’er Sheva. Some people are motivated by Zionism without a Messianic component, while others go for good jobs in the only liberal democracy in the Middle East. The motivation for living there is irrelevant; the right of Jews to live anywhere in the Holy Land was established in international law. “Violence is inevitable” because Arab don’t want Jews as neighbors, not because Arabs want a state. Arabs have been killing Jews in the Holy Land for 100 years. In several episodes in the 1920s, including the brutal Hebron massacre in 1929, Arabs called for ridding the land of Jews. On the eve of the Holocaust, they launched multi-year riots (1936-9) slaughtering dozens of Palestinian Jews and convinced the British to limit Jewish immigration, causing the death of hundreds of thousands of European Jews. Whites in the 1950s also did not want to live with black neighbors. Racism and anti-Semitism are to be condemned, not rationalized. 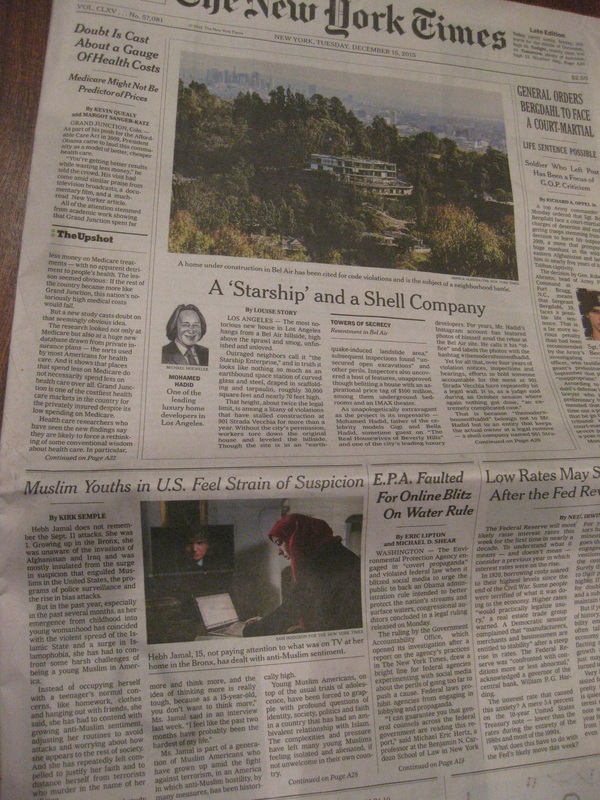 Shame on the New York Times for defending Arab attacks on Jews. The establishment of Israel as a Jewish State has been rejected by the Arabs for 100 years, and counting. Cohen pointed to the United Nations Partition Plan which called for creating a Jewish State in 1947. He failed to say that the Arabs REJECTED that plan. They opted to launch a war against Israel instead. Israel has continued to seek peace with its neighboring Arab countries: Jews approved the partition plan in 1947; the country uprooted Jews living in Sinai in 1982; it handed various cities to the Palestinian Authority in 1995; it uprooted Jews from Gaza in 2005. Israel made various peace offers to the Palestinians, including in 2000 and 2008. The Palestinians reacted to each offer with wars, and continue to reject Israel as the Jewish State to this day. One year ago, Cohen wrote “Why Israeli-Palestinian Peace Failed. “ In the article, he acknowledged various Israeli peace efforts including settlement freezes and prisoner releases. In exchange for the Israeli gestures, the Palestinian Authority created a reconciliation government with the terrorist group Hamas, and joined international bodies counter to the agreed upon peace framework. The peace talks collapsed. Cohen has now concluded that while the Palestinians suffer from ineptitude and corruption, at the end of the day, their cause is just. The Palestinians are not only despondent, but desperate for an external force to advance their vision of a state. Cohen believes that Obama should begin to advance various iterations of BDS on Jews living east of the Green Line to assure the Palestinians goal of a Jew-free state (Obama has indicated in the past that he approves of a Judenfrei Palestine). Cohen had no suggestions – or concerns – of how to make Palestinians approve of the Jewish State living in security. The radical left-wing call for BDS of the Israeli territories is easier to make when one ignores the 99% of peaceful families living in Judea and Samaria. So Cohen, and other Israel-bashers paint all of these Jews as “Messianic Zionists” who are out of touch with reality. They are either murderers of Arabs like Baruch Goldstein, or of the peace process with Arabs like Yigal Amir. Cohen fails two of Natan Sharansky “Three Ds” test for anti-Semitism: demonization and double standards. To rephrase the great ballad-rocker Meatloaf, Two of the Three IS Bad. When will the Times and the left-wing fringe look at the Jewish families with an iota of the compassion they shower upon peaceful Muslims? He used the word “destroy” five times in the speech. Obama’s plan to fight global violent extremism was broad. Below is a review of Obama’s approach for confronting evil and evil-doers. Particular evil that needed to be destroyed, was evil that threated America, and in some cases, its allies. Other evil could be addressed using other methods. Consider Obama’s comments over his presidency about his desire to destroy evil. It is limited to two terrorist groups who attacked Americans: al Qaeda and ISIL/ Islamic State. ISIL/ Islamic State and al Qaeda remain the only groups targeted for destruction by Obama. There are other groups – and countries – that are barbaric murderous entities which are not in Obama’s crosshairs. 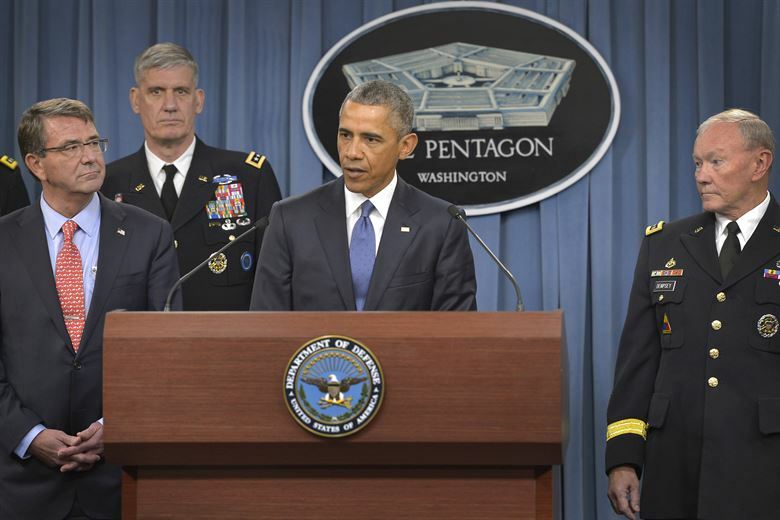 They receive Obama’s condemnation and disapproval, but not concerted military attention. Boko Haram is a barbaric, murderous terrorist group operating in Nigeria. Like the Islamic State, it seeks to install an Islamic country in the place of the Nigerian secular government through a murderous campaign. May 7, 2014 (an offer to help find abducted teenaged girls): “Boko Haram, this terrorist organization that’s been operating in Nigeria, has been killing people and innocent civilians for a very long time. We’ve always identified them as one of the worst local or regional terrorist organizations there is out there…So what we’ve done is we have offered — and it’s been accepted — help from our military and law enforcement officials. We’re going to do everything we can to provide assistance to them. In the short term, our goal obviously is to help the international community and the Nigerian government as a team to do everything we can to recover these young ladies. But we’re also going to have to deal with the broader problem of organizations like this that can cause such havoc in people’s day-to-day lives.” Obama did not offer to help destroy Boko Haram. March 23, 2015: “Boko Haram, a brutal terrorist group that kills innocent men, women and children must be stopped…. by casting your ballot you can help secure your nation’s progress.” Obama gave no support to destroy the group; he just suggested that Nigerians vote peacefully in elections and the Boko Haram threat would disappear. July 10, 2015: “[The president of Nigeria is] very concerned about the spread of Boko Haram and the violence that’s taken place there, and the atrocities that they’ve carried out, and has a very clear agenda in defeating Boko Haram and extremists of all sorts inside of his country.” Obama noted the President of Nigeria’s concern, but did not mention his own. The same evil ideology is held by other groups such as al-Shabaab in Somalia which has killed hundreds. In Ethiopia, after a brutal attack in the country’s capital, Obama said “We don’t need to send our own marines in to do the fighting: The Ethiopians are tough fighters and the Kenyans and Ugandans have been serious about what they’re doing.” The comment suggested that Obama’s modus operandi is that America will only engage militarily to destroy evil, if the local government is ill-equipped to do so. 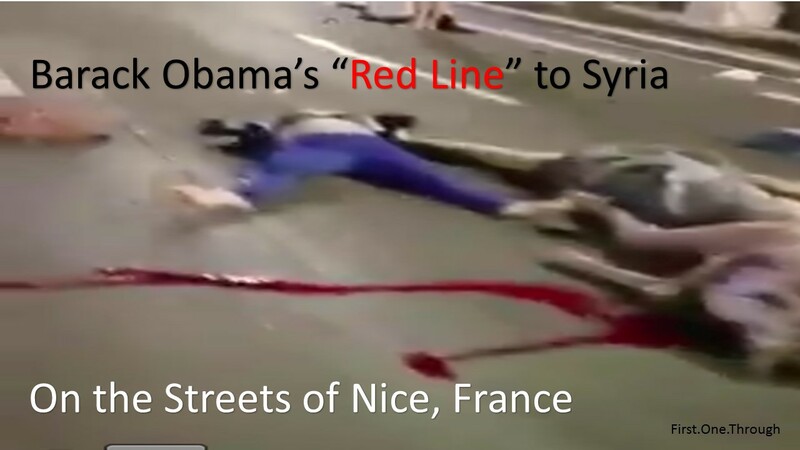 The Syrian government used chemical weapons against its own people, crossing an Obama “red line.” However, in the end, it did not matter. Obama would not attack the Syrian government, and opted to negotiate with them to remove chemical weapons. 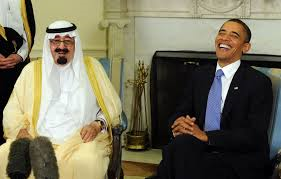 And the Kingdom of Saudi Arabia, which publicly beheads “witches” and apostates, remains an American ally. It receives billions of dollars of military hardware from the US. In short, evil perpetuated by countries is tolerated by the Obama administration. The one country where Obama decided to launch an attack to remove its leader was Libya, a much less evil regime than in Syria, Iran or Saudi Arabia. It just happened to be easier to remove Muammar Gaddafi, than the leaders of other countries. The last category of Obama’s treatment of evil is “Ignored Evil”. It is basically the same as “Tolerated Evil” except it is used for a group rather than for a country. Palestinian Arabs have many groups that are labelled terrorist organizations by the US State Department including: Abu Nidal; Hamas; Palestine Liberation Front; Palestinian Islamic Jihad; Popular front for the Liberation of Palestine; PFLP- General Command; and al-Aqsa Martyrs Brigade, among others. These groups have stated their intention to destroy Israel, a US ally; to target Jews for murder; and install an Islamic state in Israel. The groups also torture fellow Arabs if there is suspicion of collaboration with Israel, and drag their bodies through the streets. Obama has not called for these groups to be destroyed. He does not tolerate their evil, as he doesn’t negotiate with them. He simply ignores their barbarity, as he pushes Israel to tolerate and negotiate with them. There are Palestinian groups that are not labelled by the US as terrorists, that also incite violence against Israelis. Acting-President of the Palestinian Authority Mahmoud Abbas called for jihad several times against Israel without rebuke from the Obama administration. Obama has refused to label the evil that touches much of the world as “violent Islamic terrorism”. By doing so, he compartmentalized the evil ideology: between those that threaten America and those that don’t; between established governments and terrorist groups seeking to replace countries. As described above, each category received a particular treatment by the USA. Only in Israel, did Obama opt to break his formula by ignoring the radical Palestinian jihadists, as acknowledging their evil, would likely undermine any chance for a two-state solution with Israel. While some liberals think the nature of the evil ideology is different in particular places, most people understand the contours of jihadist terrorism and remain angered by Obama’s refusal to call out the religious barbarity in various corners of the world by its proper name. Israel supporters are particularly enraged by Obama’s unique treatment of Palestinian Arab jihadist violence. Liberals remain convinced that not all evil is the same, and that the barbarity has nothing to do with Islam. Conservatives believe that all violent jihadist violence is very much the same, and should be dealt with in a singular fashion. However, for Obama, remaining obtuse about the nature of the evil ideology enables flexibility in engaging particular evil-doers, while avoiding a broader conflict with the Muslim world.